MMCI Robotics builds cells to a category 3 standard while meeting or exceeding RIA Standard R15.06-2012, the industry leading standard for safety based on OSHA standards. 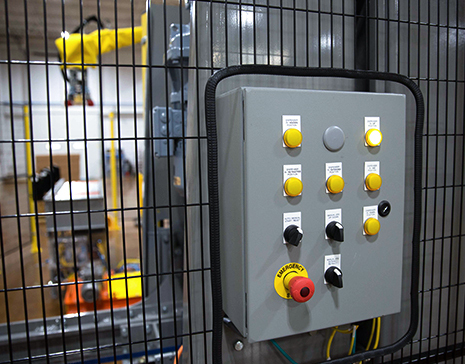 However, our commitment to safety often extends beyond simply integrating safety fencing around a robotic cell. To develop cells that achieve the highest level of safety without significantly sacrificing productivity. Through proper layout design and the use of technologies like area scanners and light curtains, we can develop cells in which the robots can work in their own spaces collaboratively with human employees and minimize the amount of time that the robots are offline.